Wonderings in the Fourth Dimension: David Tennant, Billie Piper & Zygons Return for 50th Anniversary!! 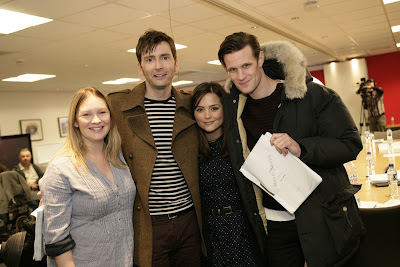 David Tennant, Billie Piper & Zygons Return for 50th Anniversary!! The BBC has announced that David Tennant and Billie Piper will be appearing alongside Matt Smith and Jenna Louise Coleman in the 90 minute 3D 50th Anniversary Special, that will also receive a limited worldwide cinema release. John Hurt and Joanna Page have also been confirmed to appear. 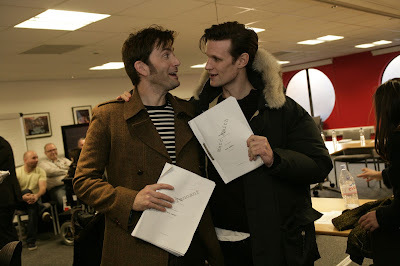 The story is written by Steven Moffat and will be directed by Nick Hurran. Joanna Page, David Tennant, Jenna Louise Coleman and Matt Smith at the 50th Anniversary story read through. On top of that the BBC has also announced that classic monsters, the Zygons will be returning to Doctor Who for the 50th Anniversary Special. 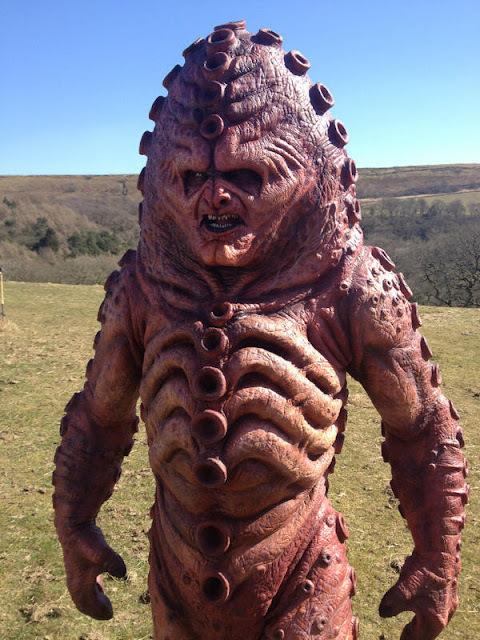 The Zygons first appeared in the Tom Baker adventure Terror the Zyons (1975), which will be released on DVD for the first time on June 24th.